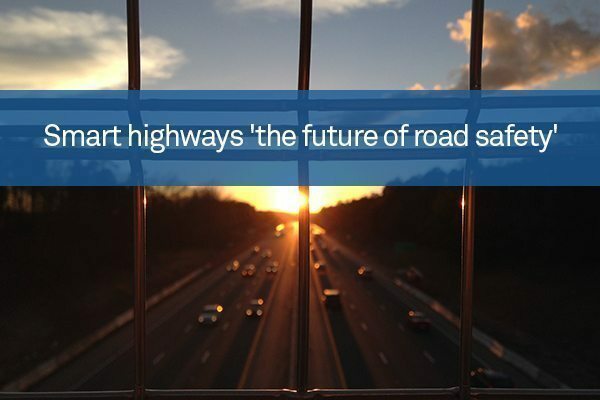 Smart highway technology that can feed crucial traffic data to cars will be the future of automotive safety, and even be able to foresee accidents before they occur, it has been claimed. Lisa Tobin, head of technology at Australian toll road operator Transurban, told a business lunch in Melbourne that a pilot programme run by the firm has been able to collate huge amounts of data on roads, weather and traffic conditions in order to improve emergency response times and traffic flow. “We are able to predict with 90 per cent accuracy the likelihood of an accident 30 minutes ahead from its likely occurrence,” she said. Currently, changes to road conditions gleaned from this data can be relayed to drivers in the form of messages on electronic overhead gantries, but in the years to come, improved technology could see the human factor removed from the equation altogether. It is predicted that driverless cars will be in widespread use by 2040, so linking data taken directly from the roads to a car’s onboard computer could help the system adapt to potentially dangerous conditions. The introduction of technologies such as partial automation and even completely self-driving cars will also have an impact on road design as the industry looks to take advantage of the technology to improve road efficiency. Ms Tobin suggested that in years to come, lanes dedicated solely to self-driving cars could allow highways to carry double today’s capacity without compromising on safety.